Original article posted on Tryum.com. Pancake Day. Mardi Gras. Fat Tuesday. 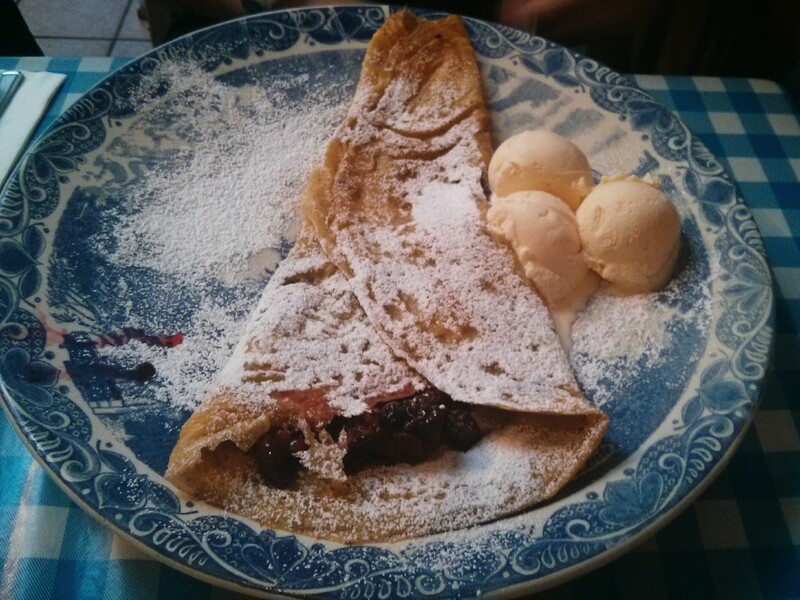 Whatever the term… the day of pancake goodness approaches! 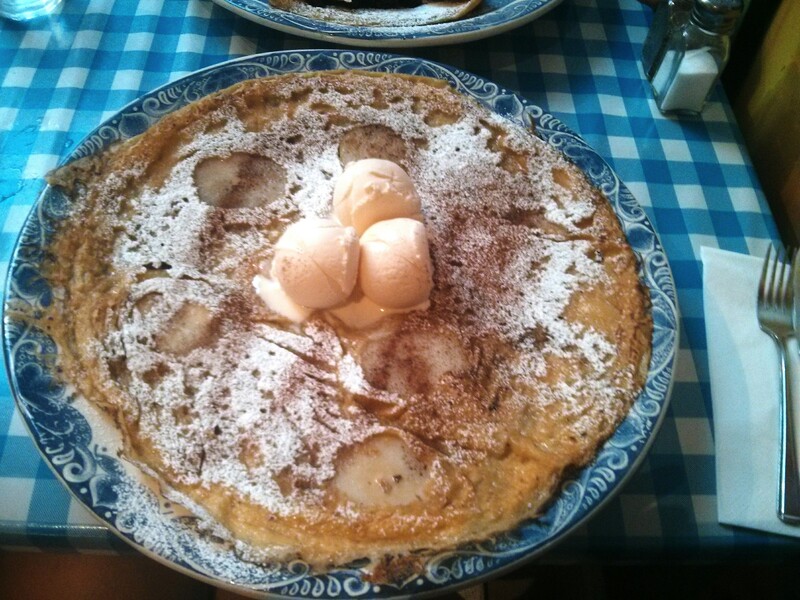 If you want pancakes, My Old Dutch has pancakes! The Holborn branch is a favourite haunt of LSE students, and it keeps things simple. It serves up a range of sweet and savoury treats at pitch-perfect prices – you can get a pancakey fix from £5.95. Or if you go for the Monday Madness, all pancakes are just a fiver. Bargain! Try the apple/pear and cinnamon for the perfect amount of sweetness and the ability to smugly claim that you’ve just eaten one of your five-a-day. Sitting on the Aldwych, The Delaunay is a fixture on the London dining scene for serving up good quality European fare in rather swish settings. 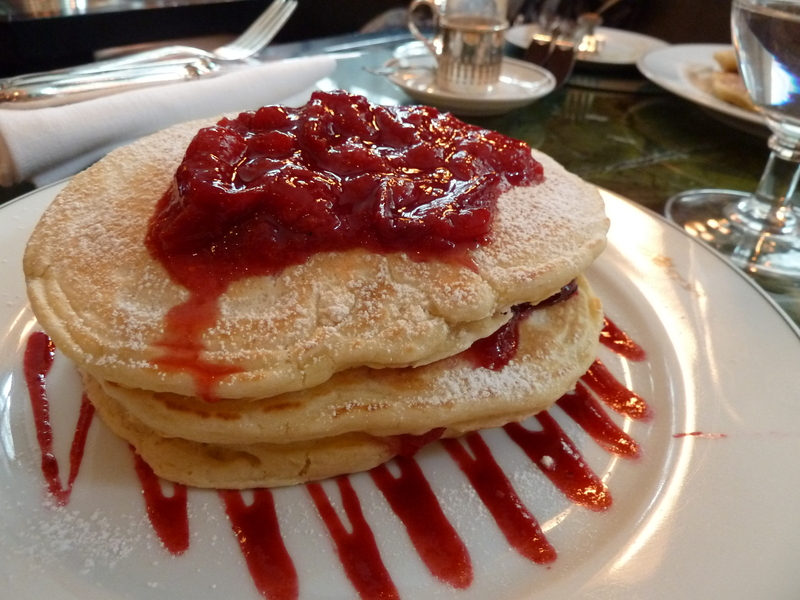 However, The Delaunay is definitely not above serving the simple delights that are pancakes. On their brunch menu, there are the classic delights of bacon and maple syrup (£9.75) and blueberries and crème fraiche (£9.95), or the more unusual plum and cinnamon compote (£10.50). I’m not going to lie though – it’s all about the bacon. Who can resist that saltiness cutting through the sweetness, cushioned with some soft dough? Not me, anyway. The atmosphere is far more laid back than you might expect from a place that has doormen and two people working front-of-house. Settle in and get your pancakes on order. 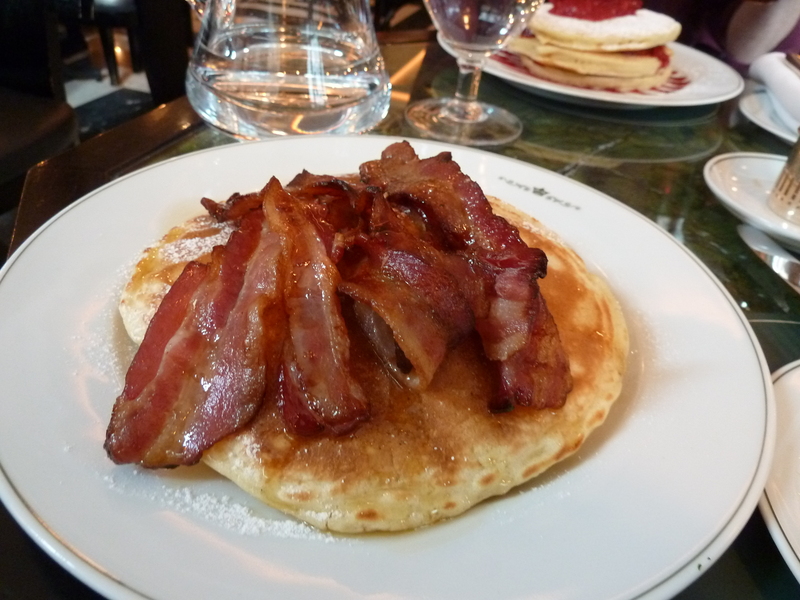 Also, fear not: at the Delaunay, poshness does not equate to portion poverty. The pancakes are some of the heaviest we’ve ever sampled and they’re huge. You may well be defeated. Stop with the sushi stereotypes! There are pancakes in Japan too, and they’re delicious enough that you should definitely put them on your food radar. 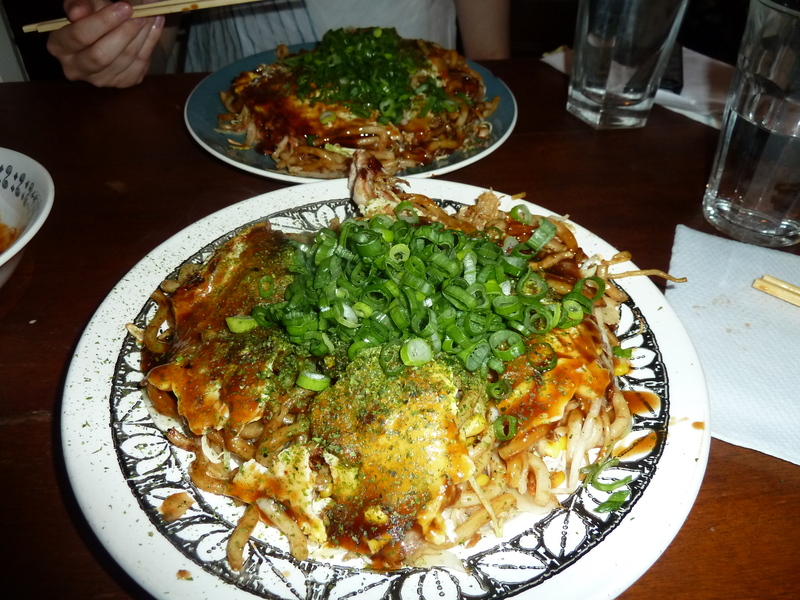 Famously un-Japanese in aesthetics is the incredibly messy okonomiyaki. This is a savoury pancake, made from the standard eggs and flour, but with cabbage, topped with a sweet sauce, mayonnaise, fish flakes and seaweed. It can have various fillings – most popular is squid or pork. Yes, it sounds like a catastrophe but trust us, it works. For some seriously delicious and messy times, head to the Pacific Social Club on a Thursday, Friday or Saturday night where Sho Foo Doh cooks up Hiroshima-style okonomiyaki (£8) which include NOODLES!! You can then add a range of toppings priced between £0.50 and £3. 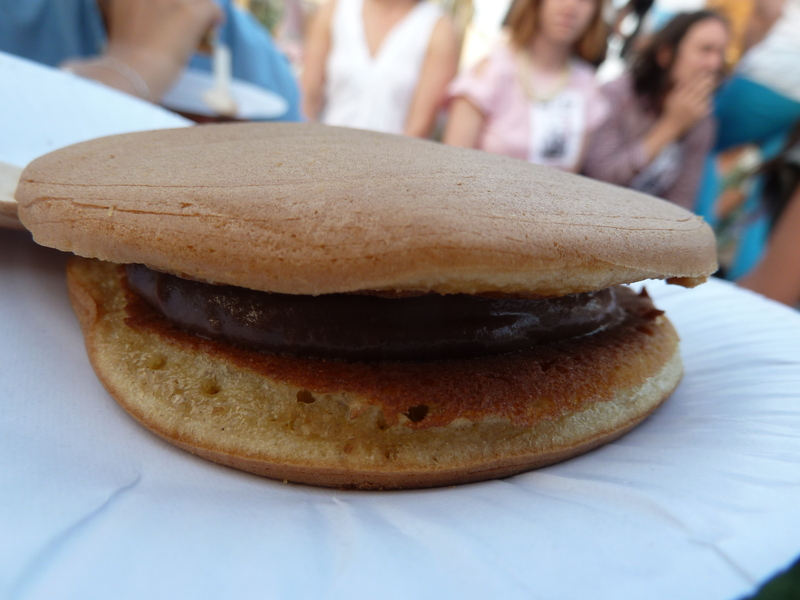 If you absolutely refuse to take your pancakes savoury, then you need to get stuck in to dorayaki. These are similar to Scotch American pancakes but come with a gorgeous sweet filling sandwiched in between. 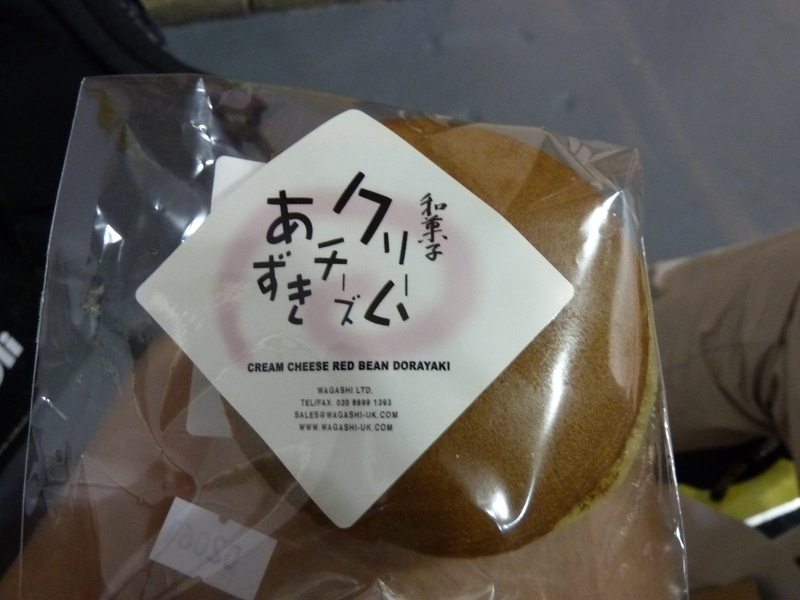 In Japan, the filling tends to be azuki bean paste or custard, but a whole range can be bought from the Japan Centre, just round the corner from Picadilly Circus. Like this red bean and cream cheese mix. There’s also a really genius matcha (green tea) and mascarpone mix. Warning: these are addictive.